Thomas Cooper’s practice is focused on personal and business tax planning, trust and estate planning and administration, business succession, and other business matters that arise in connection with the ownership and operation of closely held businesses. Thomas supports clients’ existing and prospective business interests, including advising on capital structures and prospective liquidity events, business succession planning for family members and key employees such as buy/sell and equity compensation arrangements, business operations and family office structures, life insurance arrangements, and investments, including investments in alternative assets. He regularly works with business owners and investors and their related family members, c-level executives and other business operators, accountants, wealth managers, corporate fiduciaries, life insurance providers, and family office advisors in arriving at comprehensive, creative, and practical solutions to achieve his clients’ objectives. He has particular experience in advising owners of family offices, principals of private equity and hedge funds, and founders of venture capital-backed companies with the unique aspects of estate and tax planning involving their business interests. Thomas’ estate planning and trust and estate administration practice focuses on advising on, implementing, and administering estate plans and trust arrangements. This aspect of his practice works in tandem with sophisticated estate, gift, generation-skipping, and income tax planning, including the use of family limited partnerships and limited liability companies, family office investment vehicles, irrevocable trusts, grantor retained annuity trusts (GRATs), and charitable planning. 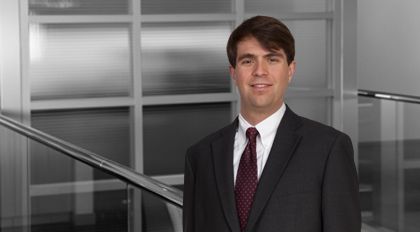 Thomas has prior experience in the representation of financial institutions and businesses in connection with debt financings and mergers and acquisitions.